Increased understanding of the interrelations between overall wellbeing and learning calls for a holistic and multidisciplinary learning environment (LE) design. Considering learners’ perception in the design of LE supportive to learning and wellbeing is expected to positively influence (a) the design quality, (b) participatory organizational culture, and (c) learning. The nature of this process creates contradictions and difficulties, however. Stand-alone co-design efforts may convert into pseudo-consultation without actual effects; neither is it easy to consider various stakeholders’ perceptions in a balanced manner. And if not planned carefully, instead of experiencing learning benefits, participation may also be considered to be an additional burden. This paper examines how these kinds of challenges were intended to be circumvented, or avoided, in a case involving Finnish upper secondary school students in the redesign of learning spaces so as to better support their learning and wellbeing. In this project, design activities were embedded in the cross-curricular visual art project course involving 11 students, which culminated in an exhibition, during which a more representative number of students (n = 175) expressed their views in a written format. After other stakeholders, such as teachers, had expressed their views, students were given another opportunity to evaluate whether their ideas were considered in the design. In addition to evaluating the procedures employed in this project, this paper will discuss their possible transfer to other contexts. Based on the overall evaluation of the procedures, it will also propose some procedural design principles for involving learners in the LE design. van den Akker, J. Curriculum Design Research. In: T. Plomp and N. Nieveen eds. 2007. An Introduction to Educational Design Research. Enschede: the Netherlands SLO, pp. 37-50. Awartani, M., Whitman, C.V., & Jean Gordon, J. 2008, “Developing Instruments to Capture Young People’s Perceptions of How School as a Learning Environment Affects of Their Well-Being”, European Journal of Education, vol. 43, no. 1, pp. 51-70. Binkley, M., Erstad, O., Herman, J., Raizen, S., Ripley, M., Miller-Ricci, M. & Rumble, M. Defining twenty-first century skills. In: P. Griffin, B. McGaw and E. Care eds. 2012. Assessment and Teaching of 21st Century Skills. Dordrecht: Springer, pp. 17-66. Bjögvisson, E., Ehn P., HIllgren, P.-A. 2012, “Design Things and Design Thinking: Contemporary Participatory Design Challenges”, DesignIssues, vol. 28, no. 3, pp. 101-116. Burke, C., Gallagher, C., Prosser, J., & Torrington, J. The View of the Child: explorations of the visual culture of the made environment. In: T. Inns, ed. 2007. Designing for the 21st Century: interdisciplinary visions and insights. Ashgate, UK: pp. 68-78. Burke, C. & Grosvenor, I. 2003. The School I’d Like. Routledge: UK. Commission for Architecture and the Built Environment 2004. Being involved in school design: a guide for school communities, local authorities, funders and design and construction teams. Department for Culture, Media and Sport (DCMS) and the Office of the Deputy Prime Minister: London, UK. European Parliament and Council 2006, “Key Competences for Lifelong Learning: European Reference Framework”, The Official Journal of the European Union, 30 December 2006/L394. Finnish National Board of Education 2003. National core curriculum for General Upper Secondary Intended for Young People. Opetusministeriön julkaisuja: Vammala. Finnish National Board of Education 2004. National Core Curriculum for Basic Education 2004. Vammala: Vammalan Kirjapaino oy. Fielding, M. 2004, “Transformative approaches to student voice: theoretical underpinnings, recalcitrant realities”, British Educational Research Journal, vol. 30, no. 2, pp. 295-311. Fraser, B. J. 1998, “Classroom Environment Instruments: Development, Validity and Applications”, Learning Environments Research, no. 1, pp. 7-33. Gallagher, C. Our Town’: an architectural perspective. A program for inner-city, at-risk children. In: R.E. Griffin, J.M. Hunter, C.B. Schiffmann, W.J. Gibbs, 1997. VisionQuest: Journeys Toward Visual Literacy. International Visual Literacy Association. pp. 17-22. Gallagher, C. 2007, “Our Town’: children as advocates for change in the city”, Childhood, vol. 11 no. 2 , pp. 251-262. Higgins, S., Hall, E., Wall, K., Woolner, P., McCaughey, C. 2005. The Impact of School Environments: a literature review. The Centre for Learning and Teaching: School of Education, Communication and Language Science, University of Newcastle. Kostenius, C. 2011, “Picture This – Our Dream School! Swedish Schoolchildren Sharing Their Visions of School”, Childhood, vol.18, no. 4, pp. 509-525. Kujala, S. 2008, “Effective User Involvement in Product Development by Improving the Analysis of User Needs”, Behaviour & Information Technology, vol. 27, no. 6, 457-473. Könings, K.D., Brand-Gruwel, S., & van Merriënboer, J.J.G. 2010, “An Approach to Participatory Instructional Design in Secondary Education: an Exploratory Study”, Educational Research, vol.. 52, no. 1, pp.45-59. Land Use and Building Act. 132/1999, amendment 222/2003 included. Chapter 1 Section 5. Lievonen, M., Kinnunen, P. & Kankaanranta, M. 2014, “Student Views on Ideal Learning Space: a Case from Upper Secondary Education”, World Conference on Educational Multimedia, Hypermedia and Telecommunications 2014, pp. 511-514. Majgaard, G., Misfeldt, M. & Nielsen, J. 2011, “How design-based research and action research contribute to the development of a new design for learning”, Designs for learning, vol. 4, no. 2, pp. 8-26. Mäkelä, T., Mikkonen, I., & Lundström, A. 2013. Co-designing 21st Century Secondary School Natural Science Learning Environments. European Schoolnet: Brussels. Mäkelä, T., Kankaanranta, M. & Helfenstein, S. 2014, “Considering Learners’ Perceptions in Designing Effective 21st Century Learning Environments for Basic Education in Finland”, The International Journal of Educational Organization and Leadership, vol. 20, no. 3, pp. 1-13. Mäkelä, T. & Helfenstein, S., 2014, “Developing a Shared Conceptual Framework for Learning Environments Co-design in Europe”, European Educational Research Journal (in review process). Plomp, T., Education Design Research: an Introduction. In: T. Plomp & N. Nieveen eds. 2007. An Introduction to Educational Design Research. Enschede: the Netherlands SLO: pp. 9-35. Sanders, E. B.-N. & Stappers, P.J. 2008, “Co-creation and the New Landscapes of Design”, CoDesign: International Journal of CoCreation in Design and the Arts, March 2008. Sanders, E. B.-N., 2008, “An Evolving Map Practice and Design Research”, Interactions, November and December 2008. Sanoff, H. 2001. A visioning process for designing responsive schools. AIA, School of Architecture, College of Design, North Carolina State University. Scardamalia, M., Bransford, J., Kozma, B. & Quellmalz, E.E. New assessment and environments for knowledge building. In: P. Griffin, B. McGaw and E. Care eds. 2012. Assessment and Teaching of 21st Century Skills. Dordrecht: Springer. Seale, J. 2009, “Doing student voice work in higher education: an exploration of the value of participatory methods”, British Educational Research Journal, vol. 36, no. 6, pp. 995-1015. Smeds, R., Huhta, E., & Pöyry-Lassila, P. Using Process Simulations to Co-design Future School Networks. In: M. Taisch, J. Cassina, R. Smeds eds. 2010. Experimental Learning in Sustainable Management, Economics and Industrial Engineering. Poliprint: Politecnico di Milano, Italy, pp. 196-205. Staffans, A., Teräväinen, H., Meskanen, S., & Mäkitalo, A. 2008, “InnoArch. 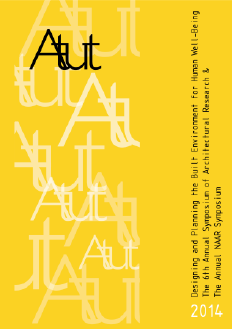 Collaborative Planning and Design and Students’ Epistemic Agency”, Conference Architectural Inquiries, Göteborg 2008. Steen, M., Kuijt-Evers, L., & Klok, J. 2007, “Early User Involvement in Research and Design Projects: A Review of Methods and Practices”, Proceeding of the 23rd EGOS Colloquium, Vienna, July 5-7, 2007. UNESCO 2000. The Dakar Framework for Action. Education for All: Meeting our Collective Commitments. Paris: UNESCO. United Nations 1989. Convention on the Rights of the Child. Geneva: United Nations. Woolner, P. Hall, E., Wall, K. & Dennison, D. 2007, “Getting Together to Improve the School Environment: User Consultation, Participatory Design and Student Voice”, Improving Schools no. 10, pp. 233-248. Woolner, P. 2009, “Building Schools for the Future Through a Participatory Design Process: Exploring the Issues and Investigating Ways Forward”, Proceedings of BERA 2009, 2-5 September, Manchester. Woolner, P., Clark, J., Hall, E., Tiplady, L., Thomas, U. & Wall, K., 2010, “Pictures Are Necessary But Not Sufficient: Using a Range of Visual Methods to Engage Users about School Design”, Learning Environment Research, vol. 10, pp. 1-22.